The Wambelong fire near Coonabarabran was one of those tragic events in history we must ensure is never repeated. The fire burned for more than 41 days, scorching more than 56,000 hectares, destroying 53 homes and more than 1100 head of livestock. Its impacts on the social fabric and mental health of the community are incalculable. What was most devastating about the fire was that it should never have been allowed to happen. It is the fire NSW farmers will never forget, because it was the fire we should never have had to endure. national parks and farm land. The government’s response to this has so far been muted, with an official response to the recommendations due on August 20. For this reason, it is not surprising there was a lot of discussion and debate about the Wambelong fire at the NSW Farmers annual conference in July. Speaking at the conference, Rod Young, a sheep and grain farmer from Coonabarabran, said the fire had a devastating effect on the community. It traumatised all those in its path and took an enormous financial and mental toll on all of those involved. At that conference, NSW Farmers resolved to support the adoption of all 29 recommendations from the NSW Upper House inquiry into the January 2013 fires at Wambelong. The recommendations of the inquiry represent common-sense improvements to fire management. They include more frequent and structured hazard reduction burns on public land, an enhanced network of fire trails in national parks, greater respect for the volunteer fire-fighters in the Rural Fire Service, greater use of local knowledge in fire-fighting efforts and standardised communications equipment across different government agencies fighting fires. The inquiry also recommended the relocation of the NSW Rural Fire Service (RFS) headquarters to a regional location. NSW Farmers supports it being relocated to the Central West of NSW. 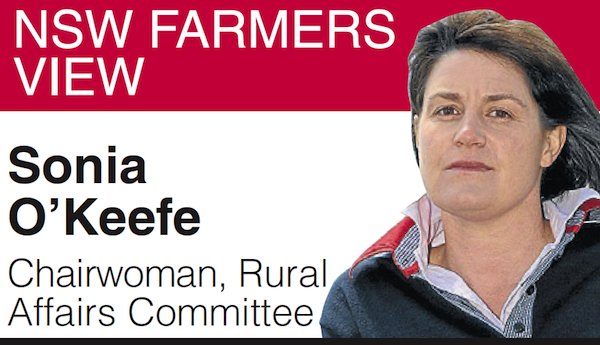 NSW Farmers’ members want to see these recommendations implemented as soon as possible. This issue is too important for the government to ignore.